This is the first report since the AGM was held in September 2001. The AGM went well. Almost 40 members of the Association attended. All were entertained by Brigadier Sam Harrison’s after-dinner speech. I thank Sam on behalf of the Association for providing his time for the speech. A new committee was elected for 2001/2002. The names and contact details of the Committee are on the back page of this magazine. If you wish to contact anyone on the Executive I am sure you are welcome to do so at any time. I thank those members who have put themselves forward as members of the Executive. In terms of forthcoming events it is planned to have Christmas drinks once again at the Victory Hotel in Edward Street on Friday 30 November 2001 from 1700hrs. As usual the Association (through me) will put some money on the bar for all attendees to enjoy. I suggest you get there early. The next “big ticket” function is the Back to the Regiment Night planned for Friday 15th March 2002. It is planned that this function will be in the same format as other years. We will try to keep the price as low as possible. Apart from Anzac Day and the Regimental Dinner, the Annual General Meeting Dinner will be held again at the United Service Club on the evening of Friday 6th September 2002. Although it is a long way off please consider whether you will serve on the executive for 2002/2003. We will finish the year off well financially and in terms of membership. Presently we have just over 200 members (including the honorary members- the 2001 graduates). I trust that more new graduates of the Regiment will join. I am sure they will find membership of the Association a worthwhile means of keeping in touch with past friends. We are still working on the scanning of old Regimental photographs. I thank Peter Lindsay for his work in this area. It is a long slow process. Eventually we will be in a position where we can “cut” some disks for those who are interested. I wish all members and their families a happy and holy Christmas and look forward to catching up with you in the new year. The Regiment is preparing for the “busy” period. In December we have Module 1B (two weeks infantry section leading) and the Officer of Cadets, Officers’ Course (nine days of general military knowledge). Then in January will be the Officer Induction Module (OIM). Somewhere in between, we will fit Christmas and farewells. Module 1B will be conducted at Canungra this year. There will be over thirty staff cadets (it has been promulgated that university regiment officer cadets will now be referred to as staff cadets) from QUR and a number from North Queensland and Adelaide University Regiment. The heat and hills of Canungra will provide a very satisfactory environment for the course. This is the final preparation for the 2001 Class before heading to Duntroon in January/February for completion of their training and graduation. All going well, QUR should have thirty-three graduates who will seek their first appointment with the units of southeast Queensland at the end of February. This will be one of the largest graduating classes in recent years. The 2002 Class looks like being somewhat smaller than this year’s class. As I indicated in an earlier newsletter, recruiting has been a significant challenge for the entire Defence Force in recent times and QUR has not been unaffected. The 2002 Class will be in the order of thirty which is less than the net training liability of forty-five. However, standards have not been compromised and all in the Regiment will endeavour to retain as many of the forthcoming class that are suitable. The OIM will be conducted at Gallipoli Barracks, Enoggera and shall be a combined QUR, Sydney University Regiment and University New South Wales Regiment course. In an attempt to be more effective and efficient, RMC is trialling a consolidated OIM. Initial planning indicated a course of up to 100 students, but that has now been revised back to sixty. This ‘formation’ approach is a logical advancement but there is also some emotion with the perception of giving up ownership of courses and cadets. To those members of the association posted to the unit and departing at the end of the year, I take the opportunity in this forum, to thank you for your efforts and commitment that have marked a successful year. I also, wish you well in your new postings. To those members of the association who are being posted into the unit, welcome home and look forward to a busy and challenging year. To the Association in general, thank you for your continued support; may you all have a safe and merry Christmas and New Year. It was extremely remiss of the editor of this newsletter not to have reported in the July edition that QUR’s current Commanding Officer was awarded the Conspicuous Service Cross (CSC) in the Queen’s Birthday Honours List. 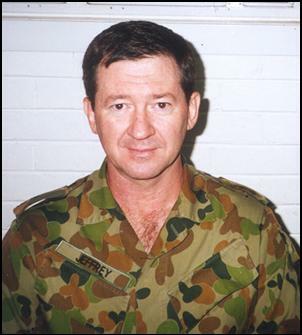 The award was in recognition of Lieutenant Colonel Jeffrey’s “outstanding achievement as Commanding Officer, Operational Search Battalion, Joint Task Force 112.” This unit was specially raised as part of Army’s support to the 2000 Sydney Olympic Games and included reservists from all over Australia. This achievement was acknowledged at the AGM but it is fitting that the Association’s hearty congratulations be also recorded in this publication. Well done, CO! One of the Association’s senior serving members, Brigadier Rod Hamilton, CSM, RFD, will conclude 35 years service in the Reserve at the end of the year. He and his wife Catherine were dined out at a function at the United Service Club on Saturday 17 November. This function was hosted by fellow Association member Brigadier John Hammond, and other Association members featured in the guest list. 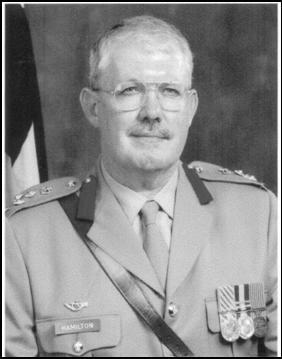 Brigadier Hamilton joined QUR in 1967 after 4 years in Cadets at Brisbane Grammar School. 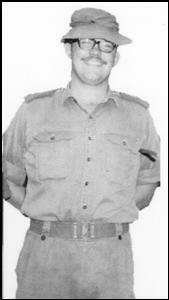 He was commissioned into the Royal Australian Infantry Corps in November 1968 and transferred from QUR to 9 RQR in 1973. In the 9th Battalion his subsequent key appointments included command of a rifle company and support company and then battalion operations officer. 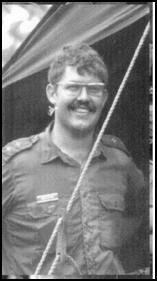 After qualification at the Senior Course of the Reserve Command and Staff College in 1985 he came back to QUR as 2IC to Brian Venz. He then served as Brigade Major of the 7th Brigade in 1987 followed by appointment as CO 9RQR in April 1988. Post unit command appointments included Senior Instructor and then Chief Instructor of the Reserve Command and Staff College Wing at 1st Training Group, Chief of Staff (Reserves) Headquarters 1st Division, Commander 1st Training Group, and finally Assistant Commander 1st Division. The association’s popular Back to the Regiment Night will be conducted in the Standfast Club at the Unit’s Walcott Street, St Lucia depot on the evening of Friday 15 March 02. Please note your diary now. Further details and a reply form will be included with the February newsletter. This is a night not to be missed. Major Ross Williamson, currently 2IC QUR, has been informed that he is to be promoted to Lieutenant Colonel and posted to RTC Regional Training Centre, South Queensland. For old timers (and not so old) amongst the membership we advise that the RTC is the new metamorphosis of the Training Group that used to occupy Sanananda Barracks at Wacol. The Wacol property is to be sold and the new organization is now housed at Gallipoli Barracks Enoggera. 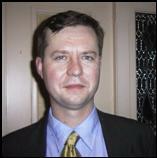 Major Williamson has served as Assistant Secretary of the Association during his appointment as 2IC and we thank him for his efforts in that regard.